Description: In this paper we propose mathematical model of discrete optimization that describes decision making for development of social infrastructure of small cities and settlements. This optimization problem is specific due to use of boolean and integer variables, minimax criterion, cost function with fixed and variable components, constraints on the combination of sets of boolean variables, constraints on integer variables given on intervals. A decomposition algorithm for solving this discrete optimization problem is developed. It formulates and solves a sequence of parametric subproblems. The illustrative example of solving an social infrastructure optimization problem for small cities of Kharkiv region is given. Byriukov, D.S. and Zaslavska, O.V. 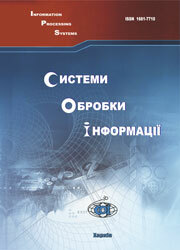 (2013), “Optymizatsiina model rozvytku sotsialnoi infrastruktury malykh mist i selyshch Ukrainy”, Information Processing Systems, Vol. 5(112), pp. 71-76.